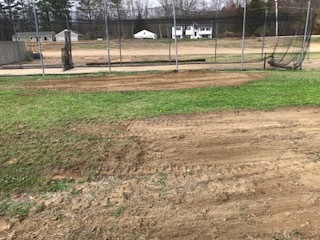 Check out this recent baseball field grading project we recently completed in Somersworth NH. This project was a lot of fun and we can’t wait to complete more! Our client was beyond happy with the results. Grading professionals you can count on! Imagine digging an entire baseball field yourself! We are available for all of your grading project needs, from fields to horse arenas, we can tackle any size grading project. Our equipment is prepared and ready to perform your next project. You’ll want to contact us, the professionals when it comes time to start planning. It is important for this client to have the right level field, minimizing injuries and dangerous water run offs that can come with weather. 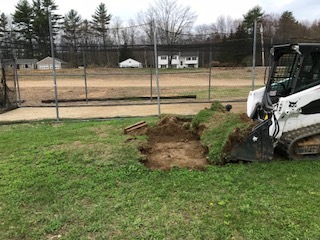 Ready to call the excavation company near Somersworth NH? It is a tough decision when it comes to working on your property. You want a reliable and dedicated team at your side, and a completed project you are proud of. We are a team ready to make our clients happy, job after job. We are competitively priced excavation, grading, and barn rehab company who is ready to help the Seacoast area. Call us today, or leave us a message below. Need a Grading & Excavation Quote?